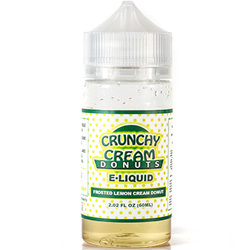 Frosted Lemon Donut E Liquid is an imported juice from the USA. Has to be one of the best donut based E Liquids we have ever had the chance to sample. Supplied in 120ml bottle you get 100ml of E Liquid leaving the perfect space for x2 premium nic shots. Click the product icon below for all the "crunchy" details.